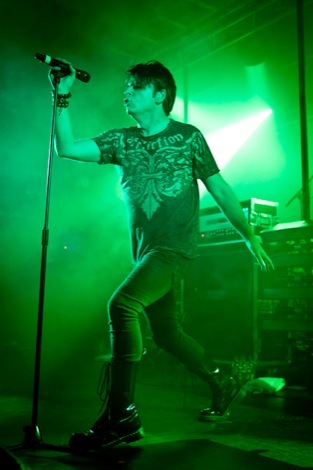 Gary Numan showcases a mixed bag of new material and classics at the Academy. Getintothis new boy Connah Roberts rubs shoulders with the Numanoids. 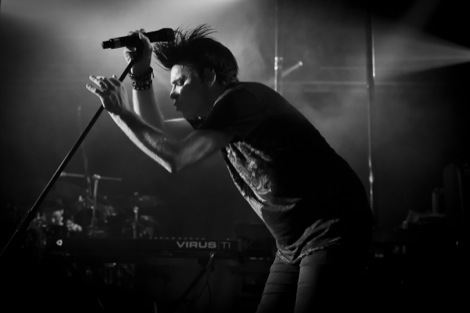 Gary Numan, the man who brought industrial synth-pop to mainstream chart success is back touring his new album Dead Son Rising. Aged 53, the warped rocker is still packing out venues, drawing in a wide range of Numanoids from middle aged men in moon boots, couples and even one or two families. Greeted by chants of ‘Nuuumaaannn‘ he entered the stage to Resurrection the opener from his 22nd studio record. Showcasing new material was a recurring theme throughout the night despite fans having only a week to digest the new offerings. The much-covered Down in the Park brought a sing along right from the off. It was intense; the bass loud, the drums crisp and the pyrotechnics quite literally blinding. 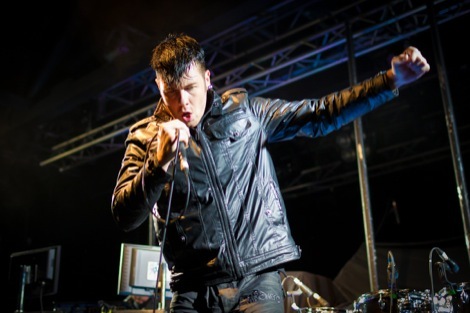 Mixing heavy metal, industrial noise and the slices of synth, the sound grew heavier and heavier, as Numan raced through barely muttering a word, instead turning his attention to the odd bit of conducting. 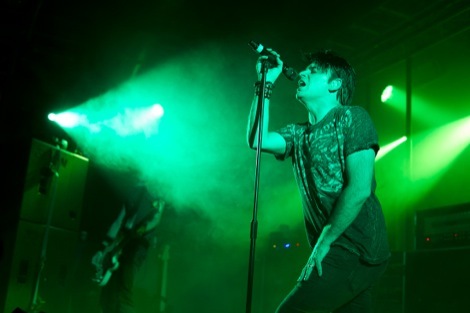 It needed I Die: You Die to stir the crowd once again, before a rejuvenated encore saved the evening as Numan flew straight into a revamped hard-as-nails Cars that brought an almighty sing along nearly out doing the sound system, with every silence being filled by more ‘Numan‘ shouts. Are ‘Friends’ Electric? brought the camera phones out for the last time, with arms fist punching the air and voices vying for attention as Numan ensured he finished on a high rescuing a night tempered by indifference.